Modern technological advances have seen electronic systems integrated into nearly every facet of life and environment. Delicate electronics are no longer simply working in dedicated machine rooms, but are instead being carried around in our pockets, through deserts, and oceans. These environments present potential threats to the backbone of modern computing – the printed circuit board. Conformal coatings have been developed to combat exactly the kinds of threats most frequently experienced in different situations. They also add a level of protection to circuitry in critical applications like power plants or emergency services. Conformal coatings – so named because they conform to the physical structure of their substrate, can be made out of a number of different materials including acrylic, silicone, urethanes, epoxies as well as parylene. New types of coatings, like synthetic rubber, are also being developed to meet specific demands. These coatings offer different types of protection as well as application methods/cure and ease of rework. "Take into account the type of environment the component will be used in." 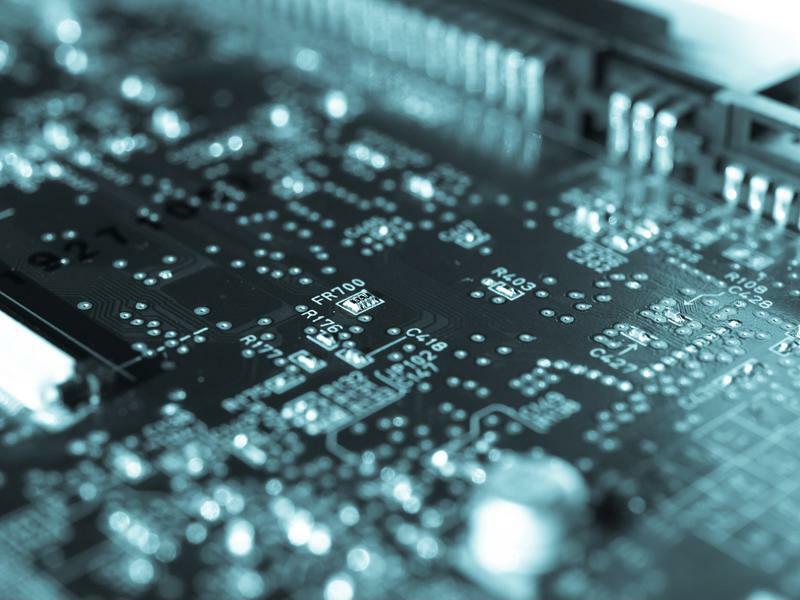 A number of factors need to be considered when finding the right conformal coating. The first factor to take into account is the type of environment the component will be used in. Most components benefit from some coating because moisture and dust can affect systems in almost all environments. Conformal coatings also offer varying levels of dielectric insulation to protect from internal or external shock. Aside from these everyday concerns, components in high-stress environments need special consideration. Determining the direct exposure to abrasion, heat and cold, and amount of mechanical stress and vibration will help narrow down the possible coatings. Reworking is important to plan for if the underlying components will need to be repaired. Coatings are usually removed for repair by abrasion, burning through, or use of chemical strippers – depending on the type. Acrylic coatings are one of the most commonly used conformal coating bases for general use. They are relatively easy to apply, quick to cure without heat or shrinkage and are easy to rework when repairs are needed. Urethanes generally provide a better chemical resistance than acrylics, but that chemical resistance can also make them more difficult to remove for repairs. Cure time for urethanes are also longer, particularly with one-part formulations. Two-part formulations can reduce cure-time at the expense of shorter pot-time and the added necessity of mixing. Epoxies offer excellent abrasion and chemical resistance, but can also be difficult to remove for repairs. They have a relatively short cure time, but care must be taken since shrinkage can occur with some formulations that could potentially damage delicate parts. Silicone coatings usually need to be removed by abrasion for repairs, but offer some unique advantages. These coatings are highly flexible, which makes them ideal in situations where operating temperatures are expected to reach up to 200C. They can also provide mechanical shock resistance for the same reason. They are ideally suited to the oil and gas industry because of their resistance to specific chemicals, as well as other high-temperature applications like automobiles. Parylene is the widely used name for poly para-xylene. This coating offers exceptional protection from a number of elements, and provides the most uniform board coating. Parylene has also been FDA approved for use in medical applications. However, these advantages come at a cost - parylene coating requires specialty application using vapor deposition polymerization, and surfaces must be impeccably clean before coating. This coating is most often used in harsh environments or military applications. Many of the types of coating can be cured with different methods, which offer different advantages and disadvantages. Solvent-evaporation curing is the simplest cure for acrylic, urethanes and epoxies, but can take a longer time - particularly with urethanes (upward of one week). These solvent-borne coatings can also be subject to VOC regulations. Water-based and other low-VOC or non-VOC coatings are available but are also more costly. Heat curing, which can greatly shorten cure-times, is an option for some coatings, but requires a specialized setup for temperature control and is more prone to shrinkage that can damage delicate assemblies. UV-curing affords the quickest cure time - in a matter of seconds - and can be a viable option when production speed is paramount. However, this method requires other factors to be taken into consideration, since shadowed areas of the PCB may not cure fully, and shrinkage can be an issue. Most conformal coatings are applied in one of two methods - dipping or spraying. When applying a coating, masking must be applied to the PCB where the coating is not desired. Dipping and spraying with selective robotic coating can lower the amount of masking required by utilizing specific component placement or designed application. Spraying by hand or over the entire board requires more extensive masking - as does the Vapor Deposition Polymerization (VDP) process. Brushing is usually not used for production, but can be used to repair some coatings. Altering the viscosity of a coating by the use of thinners can allow precise control over the thickness of coating. Boards with intricate geometries or sharp edges need special consideration since coating these areas can be difficult. Dipping can provide adequate coverage with special care, but parylene also excels at coating these types of boards. While conformal coatings protect against many kind of contamination and environmental risks, they can make components less resistant to fire. UL standard 764E measures the resistance of coated boards to fire and there are a number of coatings which meet the highest (V-0) standard. Adequately checking that a coating has been applied in the desired thickness and coverage is critical. To make this task feasible, many coatings contain tracers that are visible only under UV light for inspection. These coatings provide excellent general protection from a number of environmental factors, and individual formulations can provide specific safeguards against other stresses. However, they may be inadequate to protect some components. Potting with other compounds in conjunction with a conformal coating may be required. As always, determining what the components will encounter throughout their working life, as well as production needs, will help determine exactly what kind of protection is needed.